Another automobile museum! Yes, but this one is different because, as its slogan says, it "takes you for a ride." 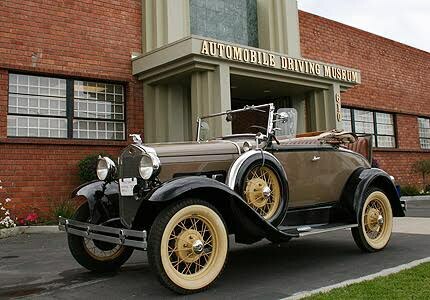 Today, the Automobile Driving Museum right outside of Los Angeles focuses on the preservation of orphaned vintage cars primarily from the 1930s through the 1950s, in addition to classic vehicles from other eras. The museum also offers access to a vintage automobile library, which includes books, magazines, service manuals and automobile user guides. Stanley Zimmerman is the instigator of this 28,000 sq. ft. facility located in the industrial area of El Segundo, just blocks south of Los Angeles International Airport. This non-profit organization boasts over 150 cars, with a rotating assortment of 70 on display, all in working order. Not only do you get to see and learn about them from knowledgeable docents, you also get to experience them by enjoying a short drive. 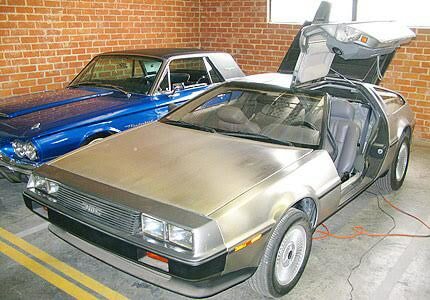 Some of the vehicles at the museum include a replica of the 1886 Benz Patent Motorwagen (the very first car); a 1904 two-cylinder Schacht; a mandatory 1915 Ford Model T; a half-million dollar Packard; a forethinking 1963 Studebaker Avanti; a quirky 1975 AMC Pacer Coupe; and the misunderstood DeLorean. The facilities include an eclectic gift shop offering vintage postcards, toy cars and other accessories. For refreshments, you can visit the V8 Grill coffee shop, which includes a 1950s-era soda fountain. The Automobile Driving Museum also serves as a unique venue for group meetings and weddings, and can be rented out for private parties. The museum is open 10 a.m.-4 p.m. Tuesday through Saturday and 10 a.m.-3:30 p.m. on Sundays. Rides are given only on Sundays. Admission is free to the public; however, since the museum operates on visitor contributions, a $10 donation is suggested.